An old fashioned Christmas inspires this collection of fabrics and projects. 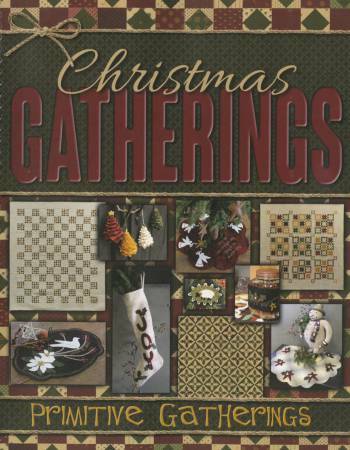 The cotton fabrics are from Moda, designed by Primitive Gatherings under the collection name Christmas Gatherings, with vintage inspired colors and prints to make these quilts and projects come alive. The spiral binding and style of presentation provides a workbook -- making the patterns a little eaier to tear out and trace.